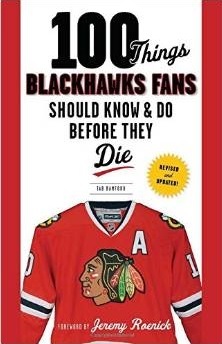 The Chicago Blackhawks have announced that tickets to the 2013 Stanley Cup Playoffs will go on sale Monday, April 15 at noon CT.
Tab…..Any insight on the game tonite? I see Crawford is in goal. Anything to report on Sharp? I think we will see a desperate game from the Wings tonite. Sharp is still in, Bolland is not, and Crawford’s in net. The Hawks can win the division at home, which should be all the motivation they need to end this divisional rivalry the right way. I was watching a chunk from the Wings-Sharks game last night. The Wings announcers while killing time as Wings were losing were so bold as to say they would be happy to play the Hawks first round, and followed up with saying our goal tending is questionable, especially Crawford. A hot goalie can take you far come playoffs, but our record and team play this year with a very strong GA compared with the rest of the league say we know how to take care of our end of the ice. The Wings haven’t exactly lit us up this year either. Bring it on. I was actually just thinking that I’d the Hawks to play the Red Wings in the first round. My reasoning being that this might be the last chance for these two teams to play a playoff series against each other for a long time. With Detroit moving to the other conference, we would only be able to play each other in the Stanley Cup Finals. The Hawks will probably have a good chance of getting there multiple times, but the Red Wings look like they’ll need to rebuild before they will contend again.